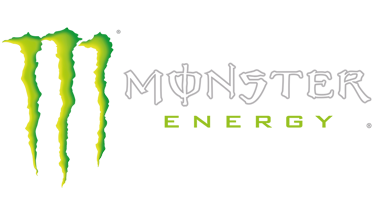 Based in Corona, California, Monster Beverage Corporation is the leading marketer and distributor of energy drinks and alternative beverages. Refusing to acknowledge the traditional, Monster Beverage Corporation supports the scene and sport. Whether motocross, roadracing, off-road, NASCAR, BMX, surf, snowboard, ski, skateboard, or the rock and roll lifestyle, Monster Energy is a brand that believes in authenticity and the core of what its sports, athletes and musicians represent. More than a drink, it's the way of life lived by athletes, sports, bands, believers and fans.